Read this book. Whether or not you like sci-fi, just sit down and read it. It supersedes the genre. Read it now, before it’s too late, and before the apathy of our age has infected you. Because this book will wake you up and make you Feel Things. I cannot recommend this book enough. It’s a rhythmic, riddlesome, understated look at the way we effect each other. It is about reincarnation, but never explicitly, which is where the magic lies, because it can become both literal and metaphorical. The metaphor is strong: we give birth to the world from our actions and our ideas, and we are the children of past actions and ideas. If we do not learn, or act, or speak out, we are indulging in a wheel of destruction which reaches out beyond us, beyond simply ourselves. Cloud Atlas is like a Russian doll, perfectly symmetrical. It revolves around six storylines, set from the 1800s right through to the middle-distant future. Each storyline tells half of itself, then opens up into the one next in chronological order. The sixth is told in its entirety, then the second halves of the other stories are told workings backwards from the future to the 1800s again. The stories do not necessarily close happily or satisfactorily in and of themselves, but there is a rightness in that. They aren’t strictly about the characters, who you end up loving almost incidentally, but weave together to form a feeling about something intangibly bigger and altogether more human. The novel has been planned and executed in such a way that it hangs together like this with complete perfection. Two words of warning come with this: the first is that David Mitchell employs altered linguistic styles in the two future storylines, which do take time to get used to. Do not give up! Just keep reading and eventually the new languages will start to make sense. Secondly, be wary of the film adaptation. It’s an ok film, but it’s nowhere near as good as the book. Not even close. And here’s some SPOILERS as to why: aside from its bizarre reuse of actors in an attempt to over articulate the rebirth metaphor, it also fundamentally undermines the message of the book by giving the furthest-future characters an escape to ‘off-world colonies’. This is not in the novel, and that’s the whole point: we have one world and one chance to get this right. If you believe that, need reminding of that, or don’t yet believe that, read Cloud Atlas. Now. 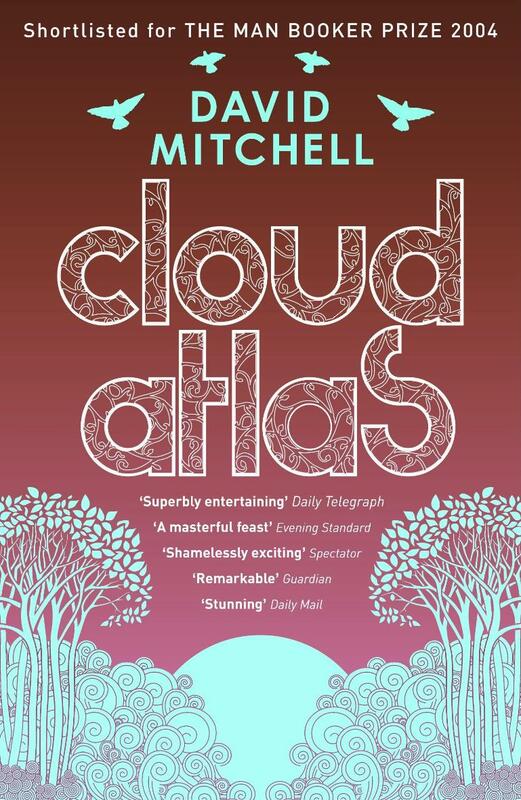 Cloud Atlas was first published in the UK in 2004 by Hodder & Stoughton and is available in paperback and ebook format.